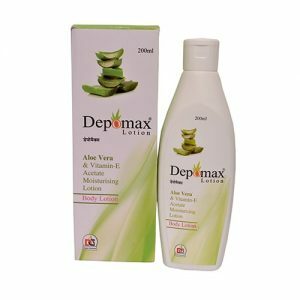 Depomax Cream | Aloe Extract 10% w/v + Vitamin E Acetate 0.5% w/v + Allantoin 1% w/v + Propylene Glycol 5% w/v + Glycerin 2% w/v- The cream is extensively used for Soothing, Moisturizing, Healing, Sunburn, Vitamin E Deficiency, Movement disorder and other skin condition. 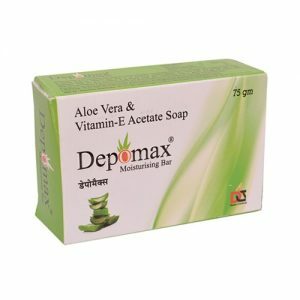 It works by improving the blood circulation and inhibiting dead cell around the wound. 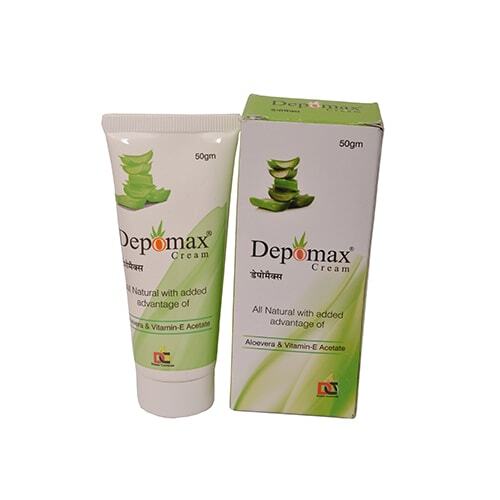 The cream also works by slowing down the body process that causes dead cells. 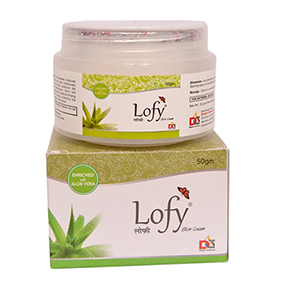 All the added compound in this particular cream very helps full for moisturizing and soothing your skin.